WELCOME TO CHAMPION OF NEW OLYMPIA! Throughout the city, the call goes out. New Olympia needs heroes! Villains of every stripe and description have fallen upon the town of New Olympia, and only a true champion can rid the city of the plague of vice and violence. Will you be that Champion? 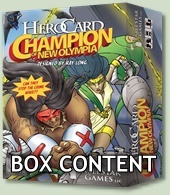 HeroCard: Champion of New Olympia is a fun, fast board game, that's also fully integrated into the HeroCard system. In it you play from two to four superheroes in New Olympia. 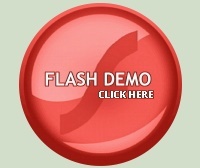 You will mine contacts for information, discover and defuse nefarious plots, all the time trying to stay one step ahead of the crime wave which threatens to engulf the city. In Champion of New Olympia, players will compete with each other to be the first to solve a certain number of crimes, while at the same time creating through card-play the crimes that other players must solve. The game encourages strategic and tactical thinking, as well as cooperation and the occasional backstab. Infused with mystic strength, a noble heart, and a magical talisman, the To'a King has come to New Olympia to crush some robots and make a name for himself. Deva, the Mistress of Mentalism is a psychic powerhouse who uses her overwhelming mental strength to manipulate and vanquish her opponents. She is aided by a powerful astral servant. Copyright © 2017 TableStar Games, LLC. All Rights Reserved.